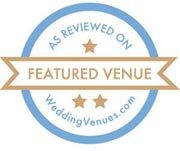 Bedford Lodge Hotel & Spa is a four AA Red Star hotel – we are the only four star hotel in Newmarket and this accreditation showcases excellence in service and standards across all areas of our hotel. We are also part of the Pride of Britain Hotels consortium, one of the most established and sought after hotel membership organisations in the UK. 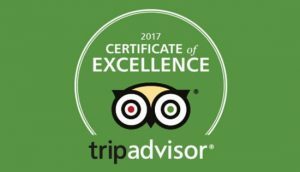 We are delighted to maintain the TripAdvisor Certificate of Excellence, which recognises our hotel as an establishment that consistently earns great TripAdvisor reviews from travellers. Our restaurant, Squires, has been awarded two AA Rosettes. 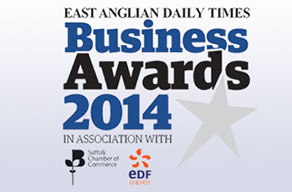 An award that we are incredibly proud of as we aim to bring fine dining to Newmarket. We were awarded two AA rosettes for a number of reasons; for sourcing high quality and local ingredients, achieving the highest cooking and quality standards and for having good consistency in all of our meals. 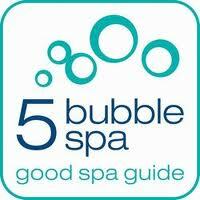 The Spa at Bedford Lodge Hotel has been identified by the Good Spa Guide as one of the top 5 star spas, winning the top 5 Bubble rating as part of our organisation’s commitment to providing the best spa in Suffolk, and the region of East Anglia. In the most recent Laterooms “Simply the Guest” awards we received first place for Best Spa Hotel. In 2016, at just two years old, The Spa was one of five nominees for the “Residential spa of the Year: 10 treatment rooms or fewer” in the Professional Beauty Spa Awards 2016 – a real achievement as a record number of entries from across the UK were received in that year. 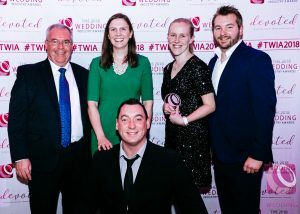 Another accolade for our restaurant, Squires, is the prestigious Visit England Breakfast Award which recognises breakfasts that go above and beyond guest expectation, taking into account the choice and range of dishes offered, as well as looking at presentation and culinary skills, the quality of ingredients chosen and used, and the service that accompanies the breakfast. A testament to our outstanding gardening team who strive for perfection in all of their work, in 2016 we were presented with the Newmarket in Bloom “Best Hotel” award for the sixth year running. In 2015 we received local recognition at the Newmarket and District Chamber of Commerce Awards, where our Hotel was awarded the prestigious “Business of the Year award” and the “Customer Focus Award”. We take our commitments to the environment very seriously at Bedford Lodge Hotel & Spa. 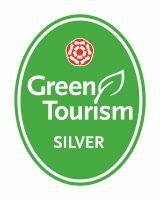 In recognition of our work to go greener as an organisation, we received a silver award from Green Tourism 2014 at a ceremony in November 2014. At Suffolk’s very own Velvet Magazine Awards in 2014 and 2013 we were incredibly proud to have been recognised as the best hotel, best diet and fitness centre for The Edge Health & Fitness Club and best for beauty for our Luxury Spa in Suffolk. 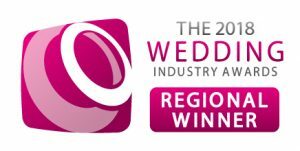 In the 2014 Business Awards for East Anglia we received an award from the judges to recognise that we offer the very best in customer service to hotel guests when they come and stay at our luxury hotel and spa in Newmarket, Suffolk.